Even a chicken chaser can afford that! Question 1: Do you enjoy things that, in the circumstance of monetary transactions, require you to transfer none of your own currency to another party? Question 2: Say, for example, you are at a soiree with your compatriots. A fellow shindigger inquires, "It sounds like your days spent working at Professor Slugfellow's Gunpowder Manufactories are not very fulfilling. What motivates you; what gets you through the day?" On a scale of 1 to 10 (with 1 representing a certainty similar to that of the sun setting on Her Majesty's Empire, and 10 representing the unwavering surety of the Titanic's hull strength), how likely are you to respond, "Fable Legends"? If your response to Question 1 included "Yes", "Most Definitely", or "Indubitably", and your response to Question 2 was anything above "I abstain from the question as per my civic rights", do we have news for you! That's right! Fable Legends, the four player co-op action RPG from Lionhead Studios, will be adopting the free-to-play rotation mechanics of many popular MOBAs. Luckily, the developers have been very quick to note that they do not wish for the game to contain any pay-to-win sensibilities. Instead, players wishing to not spend any money on the game will be able to choose their hero from a roster that rotates every two weeks. If a hero they wish to play is not currently on the roster, they have the option to purchase them for permanent use through either real money or in-game currency. Similar payment options will apply to those who wish to embark on the solo side of the game's "1 vs 4" modes, along with various cosmetic choices. 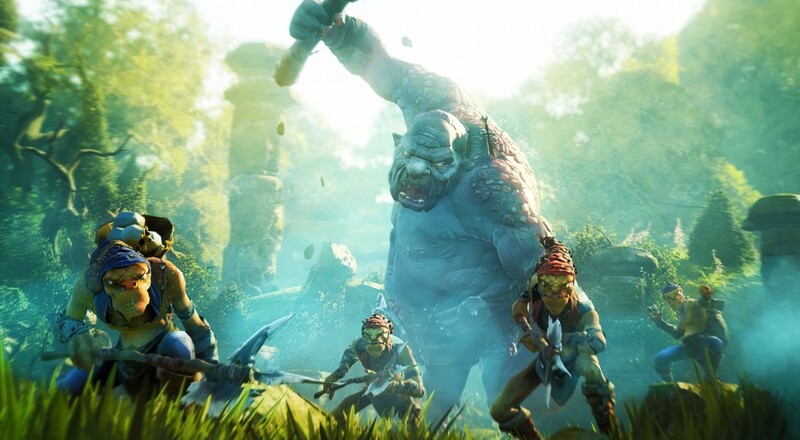 Fable Legends still does not have a specific release date, but is said to be due out sometime this year.